Idris Elba is the definition of badass. As DCI John Luther, he faces off with psychopaths and criminals using his intellect and muscle to get what he wants. He doesn’t play by the rule book and isn’t afraid to get what he wants by force. Here are 4 times when Idris has set the badass bar at a new level. Any regular guy would have broken down when faced with the barrel of a gun. 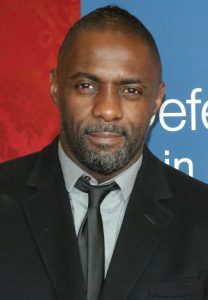 Not Idris Elba. Where most would be wobblier than a jelly, Luther manages to wrestle the gun away from his captor, Owen Lynch, and make an arrest. 100% badass. Do you want to be blown up or burned. Burned thanks. That’s how much of a stone cold badass Luther is. Idris Elba plays it perfectly, keeping his cool, closing his eyes and once the dice has been rolled, calmly informing the SWAT steam where to aim. How the hell did he remember the lettering on the outside of that van? Oh wait, badass. Never return to the scene of a crime. Not unless Luther has convinced you that you’ve slipped up. The old ‘you missed a bit’ gag worked a charm on Lucien Burgess. Bet he felt a bit of a wally when he realised he’d wasted his luminal and bleach on Luther’s bloody steak. When faced with some serious sickos, Idris Elba’s Luther handles them with the confidence and charisma of a total legend. What a badass. Idris Elba will be back as Luther for a fifth series. This entry was posted by Beige_Girl_Interrupted. Bookmark the permalink.